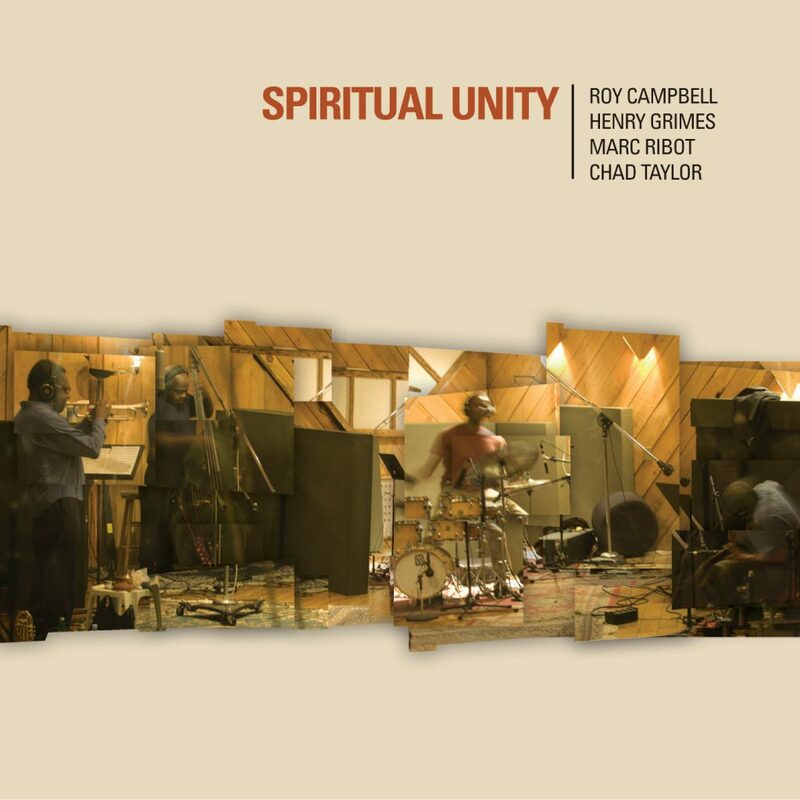 Spiritual Unity is a group formed by guitarist Marc Ribot dedicated to re-creating and re-imagining the music of the great saxophonist Albert Ayler, one of the pillars of modern jazz. Ribot (Lounge Lizards, Los Cubanos Postizos and countless other bands) is a longtime fan of Ayler’s who has spent years listening to and internalizing the communicative group process integral to Ayler’s music. Ribot describes playing Ayler’s music as a “ritual process, through improvisation, of experiencing and presenting the rawest moment of musical creation.” He knew that the time had come to realize his long-time dream of forming a collective band to play this music when the celebrated bassist Henry Grimes, who played on many of Ayler’s seminal recordings from the 1960s, returned to the jazz scene in 2003. Grimes’ amazing reemergence after 30 plus years away from music is now one of the great stories in the annals of jazz. “Spiritual Unity” is just the second release and the first studio recorded release to feature him since his return. This recording, for those who haven’t had the good fortune to see Grimes play live, finds him playing as strong as ever. He is obviously the perfect bassist for this music. Ribot displays his obvious passion for this music. His playing ranges widely from delicate beauty to wails and shrieks and everything in between. Trumpeter Roy Campbell exhibits his incredible versatility. He sports his free jazz hat and delivers the combination of lyricism and whomp that he brings to every musical context. Drummer Chad Taylor (Chicago Underground Trio) plays with muscle and verve, propelling this difficult music forward. “Spiritual Unity” features one original by Ribot and four compositions by Ayler. Ribot’s “Invocation” opens the album and immediately conjures Ayler’s spirit. This is followed by “Spirits,” one of Ayler’s catchiest and instantly recognizable tunes. “Truth is Marching In,” another of Ayler’s signature tracks, featuring a long, mournful intro that suddenly breaks into a warped march. The spacious “Saints” bridges to the album closer “Bells,” a 15 minute tour-de-force recorded live at Tonic the night before the studio session. “Spiritual Unity” could easily be overshadowed by comparisons to Ayler’s original work, but the intentions far exceed a straightforward canonization of Aylers music. Using Ayler’s vocabulary as raw material, Ribot, Grimes, Taylor and Campbell combine their disparate influences to fashion their own distinct work of art.